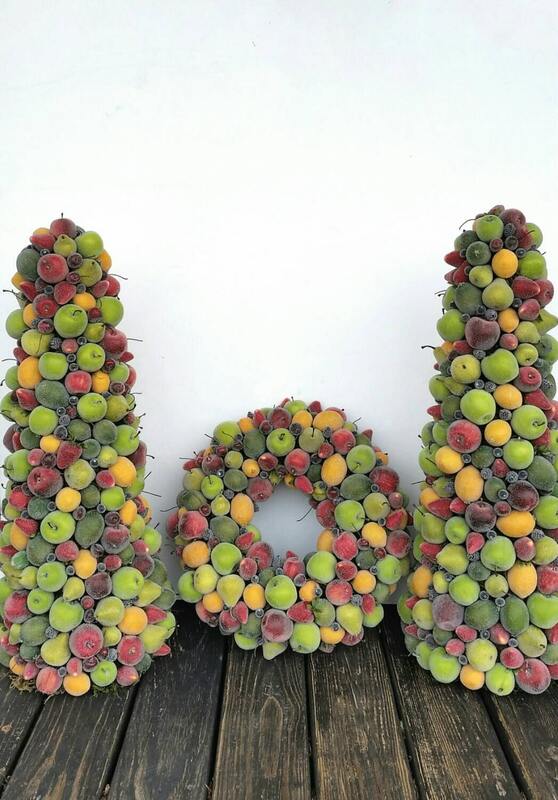 This listing is for one 32 inch tall sugared fruit wreath. 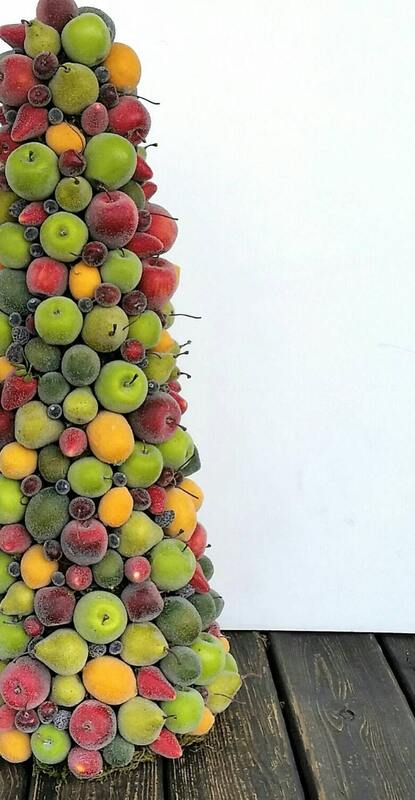 Fruit galore!!! 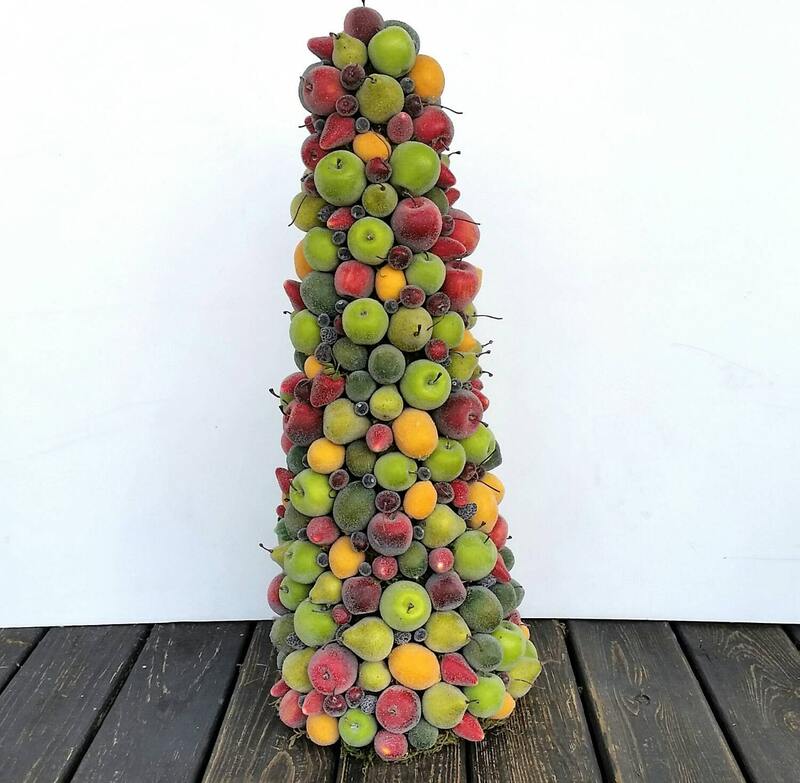 There is no shortage of fruit in this stunning topiary A lot of time and detail went into this creation. 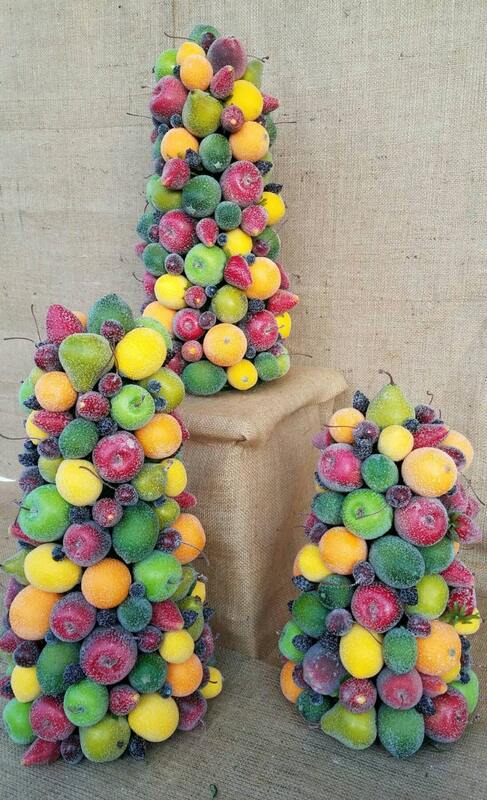 Each piece of faux fruit is hand "sugared" by me with glass microbeads. 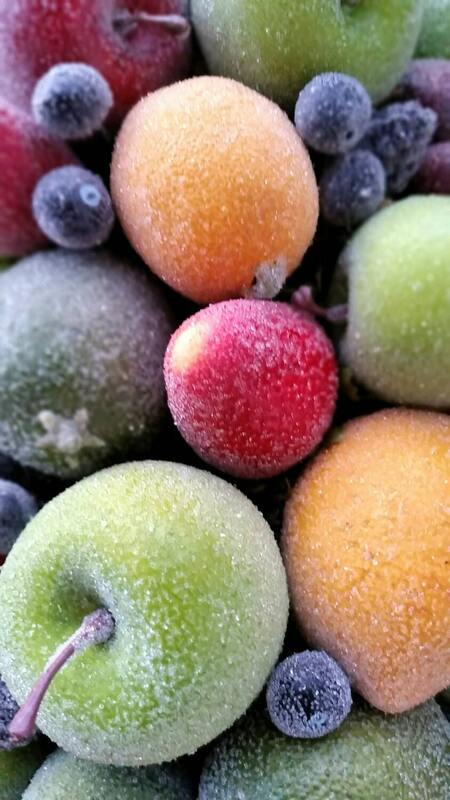 You will find strawberries, cherries, limes, red apples, green apples, pears, blueberries, lemons, and blackberries . The only greenery used in the piece is the stems attached to the strawberries. This Christmas topiary packs a huge visual punch with details and is sure to delight. By adding creative lighting the entire topiary shimmers and sparkles! The base for this topiaryis styrofoam hand wrapped in moss attached with glue and floral wire. The cone shaped topiary's height is measured in inches. You have several sizes to choose from... 12, 16, 20, 24, 28, and 32 inches. It should be used indoors or in a sheltered area away from the elements. Can be weatherpoofeded with a protestant for an additional charge.